When you want to transfer an image to a product, you want to be sure that the final picture will be crisp, vibrant, and beautiful. After all, visuals have a huge impact on driving consumers’ purchasing choices, which means you need to make sure that your logos, labels, and messaging will catch the eye of shoppers. Many image transfer methods are only capable of producing images in a limited range of colors, leaving them looking flat and lifeless. That’s why you should always turn to full-color digital heat transfers for your goods. Digital heat transfers are the ideal way to transfer your image to products made from virtually any material, including plastic, metal, glass, ceramic, and more. At CDigital, we understand digital heat transfers inside and out. In fact, it makes up 100% of our business! All of our film is digitally printed on one of our high-speed, 1200 dpi presses which are designed to produce photo-quality images in full color. Using a new family of toners and state-of-the-art developers, our digital film looks crisp, clean, and vibrant. In addition, our top-of-the-line presses have dramatically improved our film’s opacity, which means that they are able to produce film that will look stunning on products of any color. 4-color plus white digital printing. By utilizing a CMYK plus white digital printing process, we’re able to produce a full spectrum of colors on transparent film at a stunning 1200 dpi resolution. This means the printed film looks great on products of every type, including transparent glass and plastic. Lasting beauty. Full-color digital heat transfers simply look great. With crisp lines and vibrant colors, digital heat transfers are the best way to decorate a product that will look vibrant, beautiful, and eye-catching. Affordability and quick turnaround times. 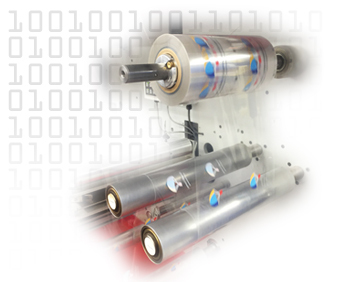 Because digital heat transfers require zero set-up costs, digital film is an economical way to decorate your products. In addition, thanks to our variable data capabilities, a single run can include a number of different images, allowing you to make the most of your run. 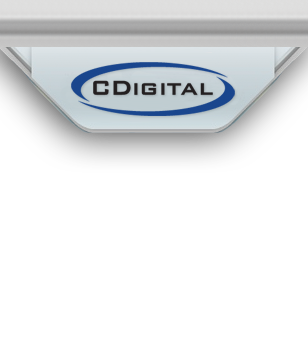 At CDigital, we are committed to shortening turnaround times and providing your film quickly and accurately. In fact, most orders are shipped within 24 hours of the order being placed! In certain circumstances, we may also be able to work directly with your art department in order to bypass processing and go straight to print.